Apple today released the fourth beta of iOS 7, which begins a number of improvements, changes, and bug fixes to the operating system, including a designed lockscreen, Notification Center improvements, an updated look for Safari’s bookmark menu, and more. Lockscreen - Slide to Unlock has been updated with a shifting highlight color and an arrow that draw attention to the area on the lockscreen. The arrow that denoted the Notification Center is now a line shape. Mail - Swiping to delete inbox messages from the Mail app is quicker thanks to a smoother delete animation that eliminates slight lag. Notification Center - The different sections of the Notification Center can now be switched between by swiping left and right. There is also a new notification for completed uploads. 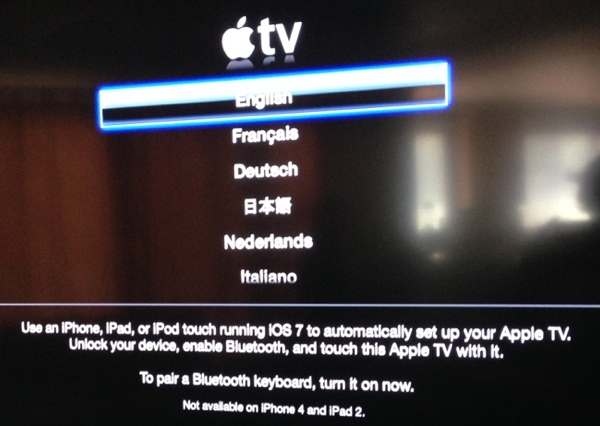 AirPlay - There are new AirPlay icons. 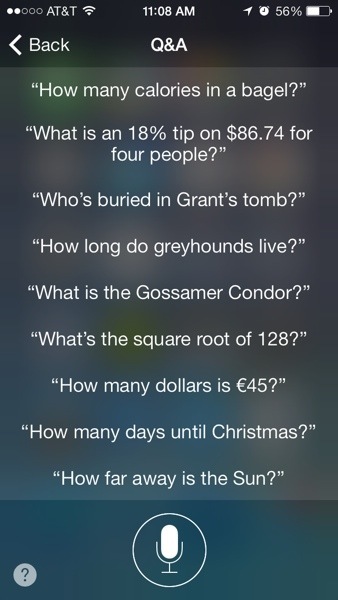 Siri - Siri’s help menu now includes suggestions for question and answer queries. Apps - The camera includes a relocated HDR button and the Reminders app now offers Search functionality. Icons - Safari and Mail appear to have slightly tweaked gradient designs. Folders - The fade animation for folders located in the dock has been updated to function properly. 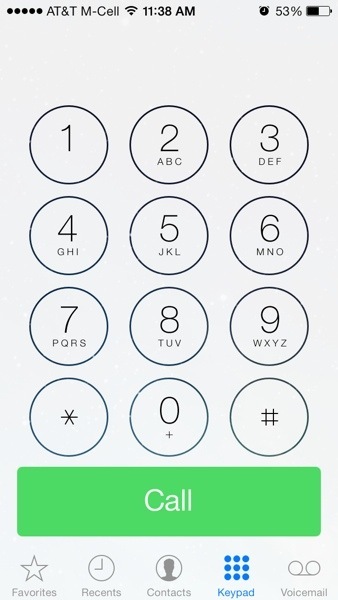 Phone - The Call button has been slightly altered to take up less of the phone’s screen and the Answer/Decline buttons have also been updated. Messages - Messages app now uses the first name and last initial of a contact in a chat conversation rather than the full name. 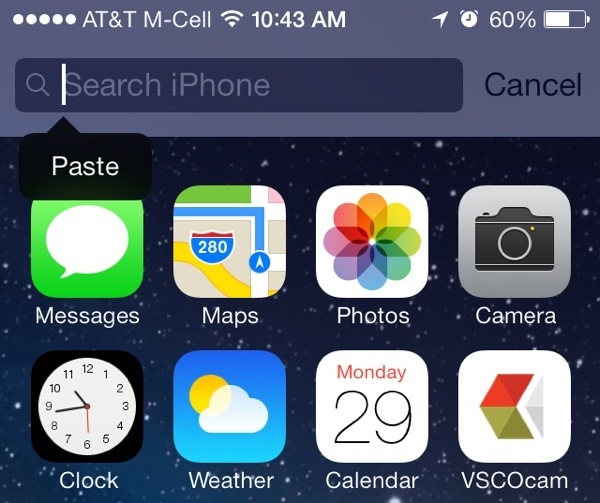 Search - The iPhone’s search functionality (initiated with a downward swipe on the screen) now includes a "Cancel" option. Safari - Buttons for Bookmarks, Shared Links, and Reading List have been redesigned with icons rather than labels. Screenshot API - As noted by 9to5Mac, iOS 7 Beta 4 includes a new screenshot detection API that solves an issue preventing Snapchat from detecting screenshots. Additional features in iOS 7 beta 4 will be added here as they are discovered. Apple is likely to continue pushing regular updates for iOS 7, bringing minor performance boosts and changes ahead of the operating system’s public release, which is expected to come in the fall. You don't see the difference? Really? The update to the messages app show the first name and the first initial of the last name. You should just stop being friends with one of the guys and delete them from your contacts. Get rid of Eric, I never liked him. Honestly not a fan of the Screenshot API fix. I don't use Snapchat, but IMO it's none of anyone's business if I take a screenshot on my device. As far as the other updates are concerned, be curious to hear feedback from the Dev community on the continued improvements, or any new bugs. Really hoping for speed, stability, and battery life improvements. Also added back is the option to shuffle all songs of a certain artist. For example, we can now shuffle all Led Zeppelin songs. Before we were limited to playing certain albums shuffled. Bothered me. My goodness but that is some seriously ugly screenage. The change to the lock screen is much better. For some reason I was always tried to swipe up to unlock even though I know the standard behavior. Hm. The minor gradient tweak to the Safari icon seems to imply that this icon is staying as it is now. I doubt they'd tweak it if a new icon was forthcoming. Please replace "Cancel" with "x." Using text is a mistake, as the length of the word will vary by language thus shortening the search field width. No need to delete the ubiquitous x. Now in the camera app you can hold down the virtual shutter button on the touch screen until you are ready to take a photo and then release to take the photo. This is nice if you are trying to take a picture of something that is moving around a lot like an animal. You can frame the photo and just quickly release your finger once you see the scene the way you like it. This has been the behavior in all previous version of iOS until the iOS7 betas. 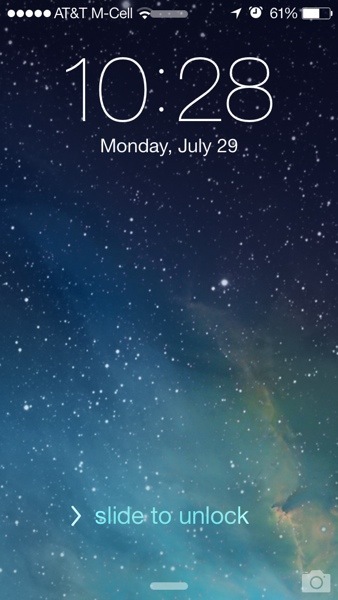 In previous iOS7 betas, the camera would be triggered immediately on tapping the button not on release.